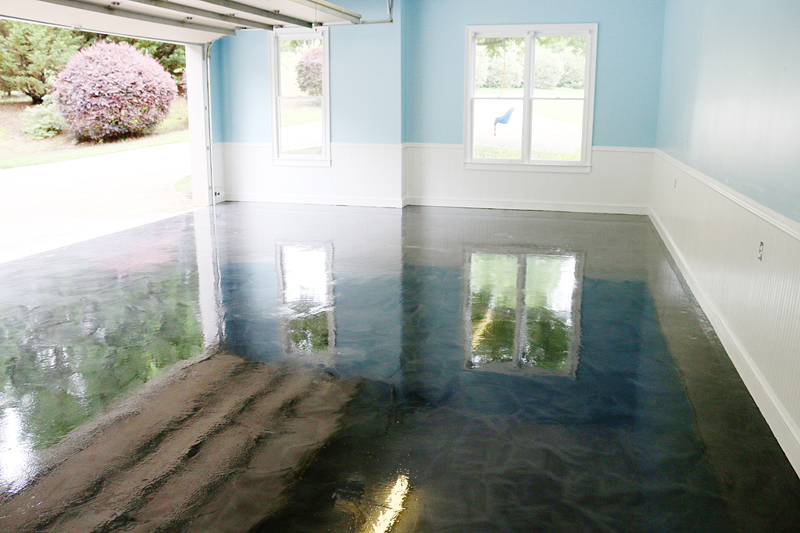 We’ve seen a few of these epoxy floors in garages and have always dreamed of adding this to our homes’ garages some day. 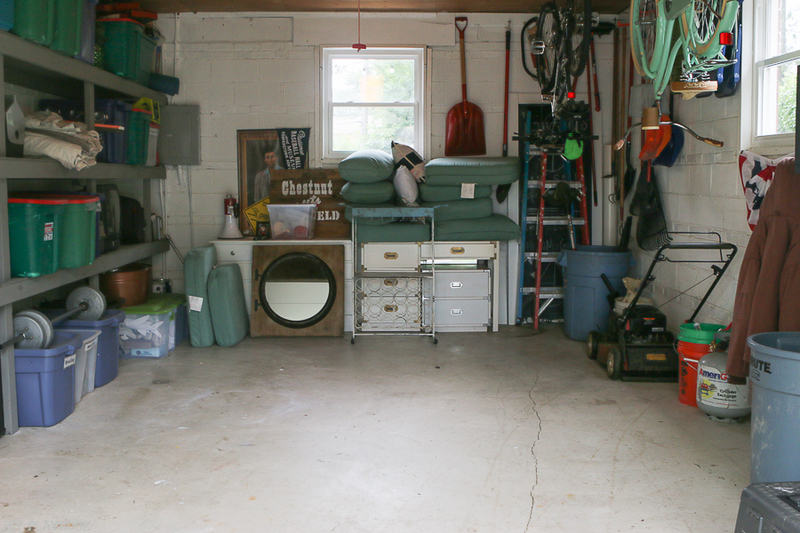 But after we found out that getting this professionally done can cost a couple thousand dollars, we were immediately reminded how this garage floor treatment may permanently be on our wishlist, never a reality. 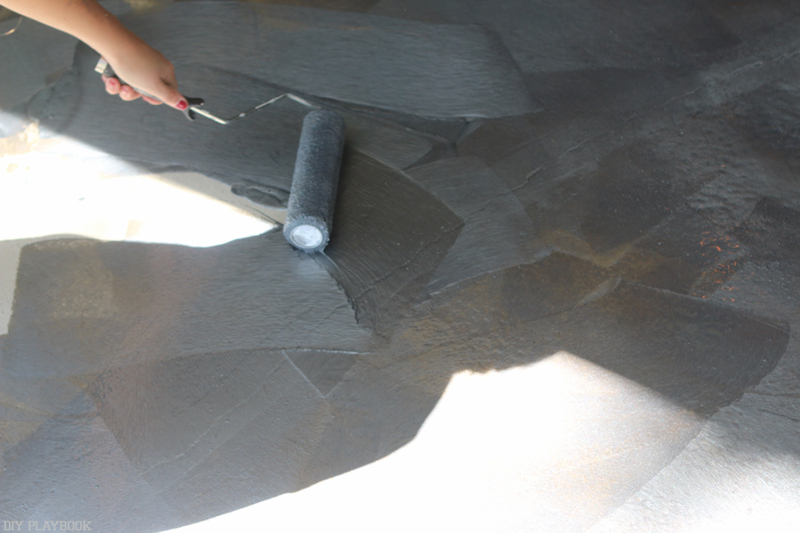 Sure, we love that this coat of epoxy adds instant shine, color, and quality. 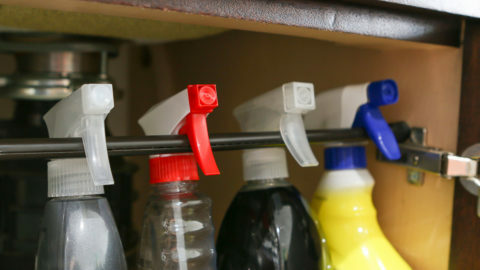 We love that it makes cleaning the garage so much easier because all you have to do is hose it down and then squeegee the dirt right out (because the coating is water-resistant). 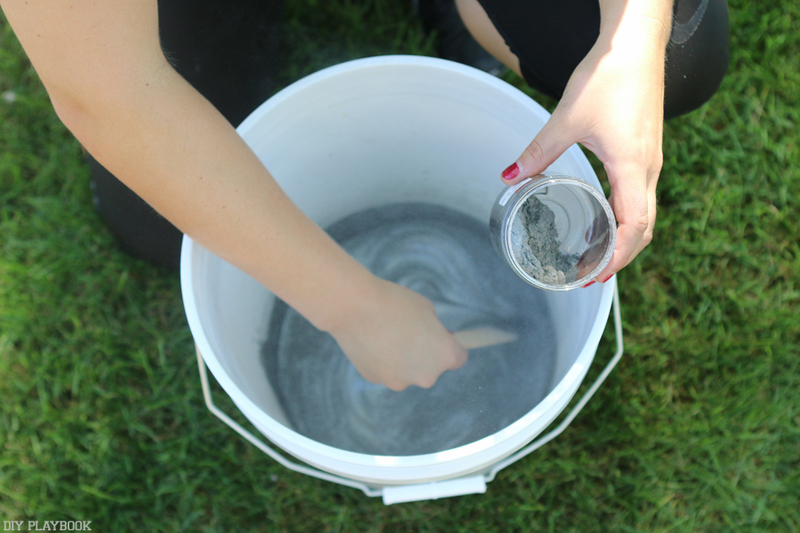 And we especially love when we heard that DIY-ing an epoxy garage floor is far more attainable than ever before, with a kit that costs a fraction of that cost! Behold! 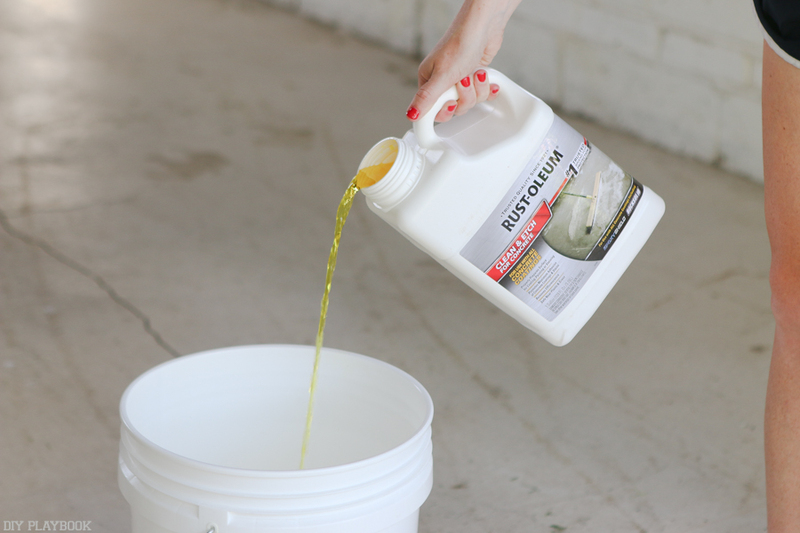 We recently came across Rust-Oleum’s RockSolid DIY Epoxy Kit and the dream of adding this coating to our garage without breaking the bank became a reality. 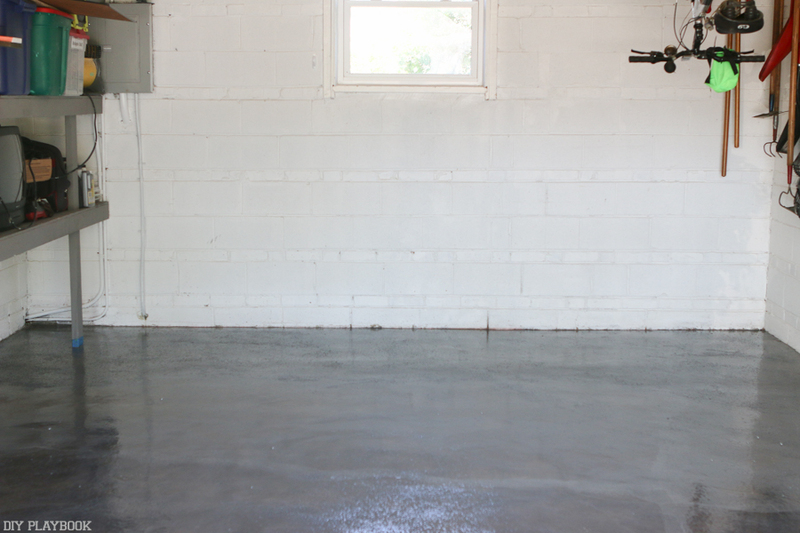 This product allows regular homeowners, like us, to add epoxy to their garage floors in ONE DAY … plus the prep work. 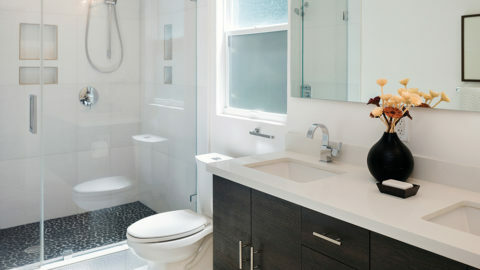 When we first tackled this project, we were very intimidated. But after reading lots of tutorials and doing some research, we survived and are back to report it was not nearly as scary or as complicated as we thought. We found out that the prep work leading up to the actual application of the epoxy is the most time-consuming part of the process. From etching (deep cleaning the concrete with chemicals) to patching, and then eventually painting on the epoxy, none of the steps were hard, they just took time. Our advice to anyone looking to do this in your own garage is to READ all directions carefully and we’re confident you will be successful. But using different products for each step meant that you needed to read ALL of the directions thoroughly. We did it. You can too. We are very confident that you can too and that’s exactly why we’re sharing this post. We never imagined we would recreate a look we have always dreamed about and wanted to inspire others to do the same. 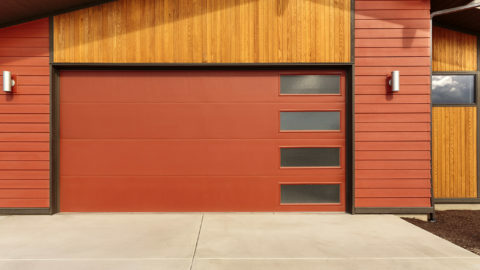 If a gorgeous epoxy garage floor is on your home’s wish list, it’s time to clear your weekend. 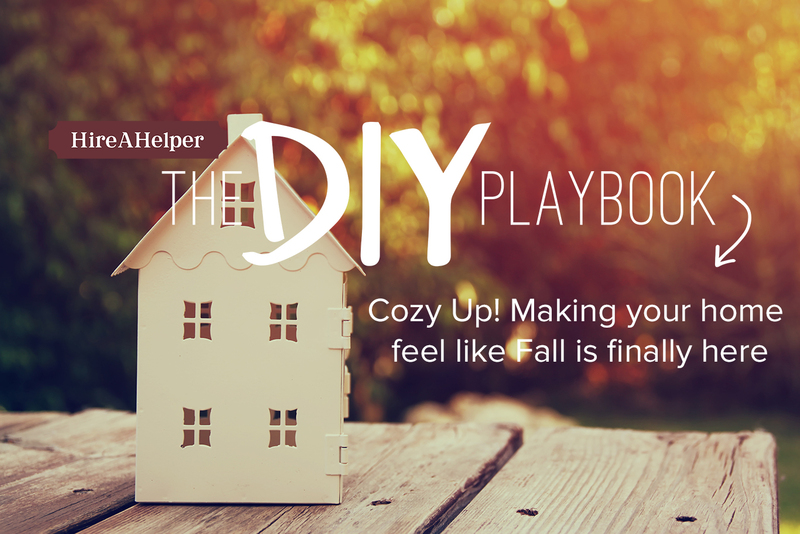 Before you know it, it’ll be your garage that the neighbors will be talking about.